Have you been looking for an accredited, online high school that offers convenient, affordable and high quality online high school courses? Excel High School offers students the core and elective courses they need to prepare for success in college. Perhaps you just need a couple of make-up credits, or you are an adult in need of an accredited high school diploma? Whatever the situation, we can help to support your specific requirements to earn the credits you need to graduate. Excel High School offers accredited, online high school diploma programs for high school age and adult learners. We also offer single course offerings online for summer school and credit recovery. Students access all courses, quizzes, and testing entirely online, from any location, at any time that is convenient for you. All you need is a computer, an Internet connection and the desire to achieve success with your education. Our Academic Advisors will assist you with course planning, so give us a call and we will help you get started with your online courses today. Excel High School offers a complete and fully accredited online high school curriculum designed to prepare students’ for college. Our brand new courses for 2018 include high-quality digital textbooks and video instruction, as well as, the additional robust coursework you can expect from a leader in online education. Excel High School students also have access to our tutoring department for academic support. Our online high school courses are taught by highly qualified and credentialed instructors. Over 80% of Excel's instructors hold a master degree, a post master's certificate or higher. Full-time enrollment for standard high school age student is only $ 129 per month for all of the core and elective courses needed to graduate with an accredited high school diploma. There are no extra course fees for books for labs. Everything you need is included in our core/elective courses. Honors/online AP courses are a great option for advanced learners to accelerate their learning and even earn college credit while in high school. The honors track is $ 949 per semester and the Honors + AP track is $ 1145 per semester. EHS offers low monthly payment options. Online Middle School is $ 1090 per school year or $ 109 x months on the payment plan. Enroll today and get started right away! 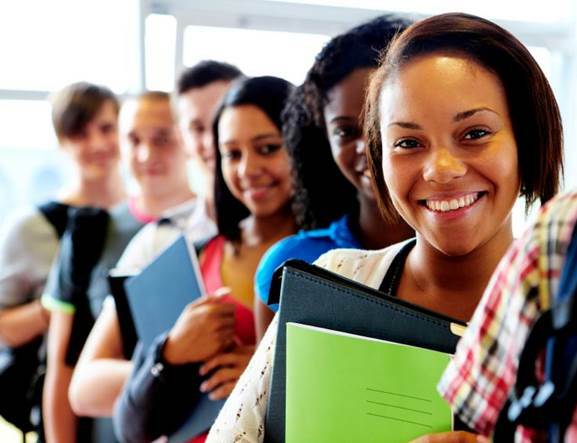 We are sure that you will not find a more affordable, accredited online high school anywhere. Whether your child needs a few make-up credits or a full-time high school diploma option, Excel High School is a perfect choice. Excel High School online is great for adult learners, too. What’s so great about Excel’s online high school courses? We understand how students learn. Our core/elective online high school courses have plenty of visuals in the instruction process. We keep our students excited about learning! Excel High School courses are available when you are. Our courses are asynchronous, which means that students can login and work on their studies at any time day or night, 365-days a year. Going on vacation? Bring your laptop and take school with you. Excel High School online courses are available online, and from anywhere in the world where you have a high-speed internet connection. * Prices are for 1.0 Carnegie credits (two-semester) . Please call our Admission’s office for course selection and further pricing details (800) 620-3844. Excel High School offers affordable, interest-free installment plans. 10 monthly installments of $ 189. **As a State recognized accredited high school, students pursuing a high school diploma from EHS must complete a minimum of 25% of the total credits from Excel High School to earn an accredited diploma. Regionally accredited High Schools can transfer in 75% of previous credits toward graduation. *Excel High School issues the very same accredited high school diploma that students receive from the local public high school. This includes a minimum of the following credits; 1-English, 1-math, 1 science, 1-social studies, and 2-elective credits. Click Here for credit transfer policy. Looking for an Online Christian High School? Check out Northgate Academy which offers a large selection of faith-based courses 100% online. 1. Choose your online program and courses online here. 2. Complete the online enrollment application and make the initial payment to get started. 3. Begin your exciting online courses and work at your own pace to complete your high school diploma. Please call our admissions office at (800) 620-3844 or try an online chat. We are here to help you every step of the way.